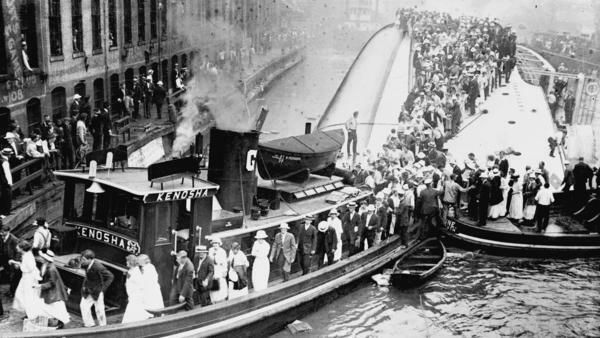 On July 24, 1915, the Eastland capsized while docked in the Chicago River. Read more about the traged y that took 844 lives. 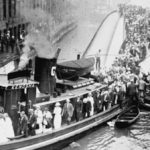 My great aunt Margaret Tomschin was on the Eastland and was pulled out of the river. She survived but really didn’t speak about this incident. She was in her late teens.